NOTE: Some of the page images are fairly large and could take a while to download. Will The Real County Commissioner Please Stand? I do not live in Colorado so I am unable to help with your personal research questions. All the information I know about Adams County is posted promptly on this site. Please visit the "Research Resources" section of this site. I would suggest that if you don't find the information your looking for here, that you join the email list and post your question on the query board. The more places you ask the question, the better your chances of getting an answer. 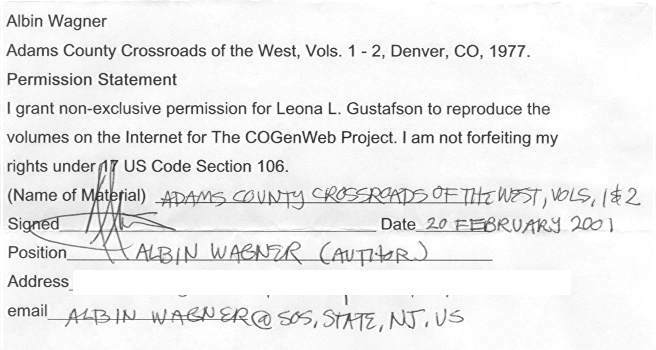 COGenWeb is proud part of the USGenWeb Project. Copyright © 2003- 2017 by Carolyn Golowka, the COGenWeb Project, and this site's contributors. All rights reserved. 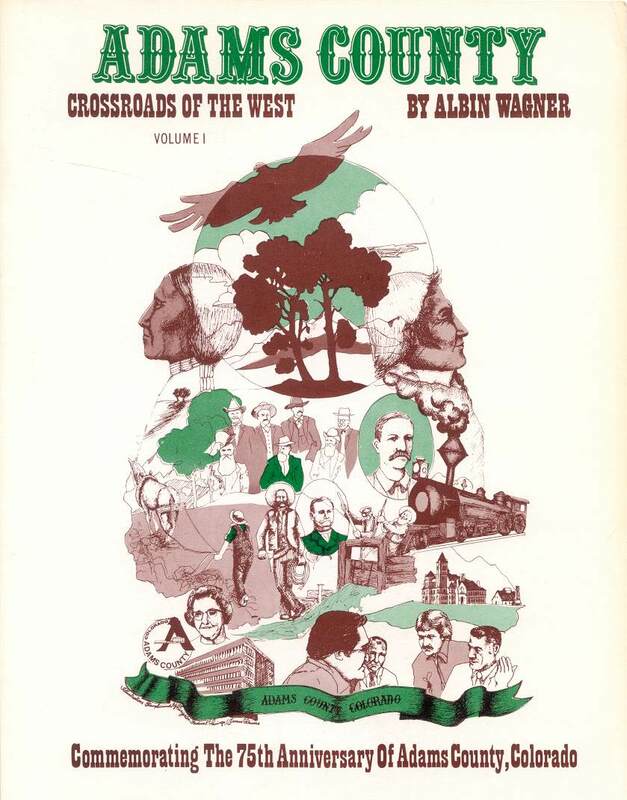 This information may be used by libraries, genealogical societies and genealogists, however, commercial use of this information is strictly prohibited without prior permission of the owners. If copied, this copyright notice must appear with the information.